Pictured above on the right (during a fun GDC VR mixer that The ITA was a media sponsor of), David Traub is Principal of Epiphany Film Fund and was personally responsible for producing the on-display graphics work in the Lawnmower Man. Lawnmower Man is the 1993 science fiction movie that introduced VR to the global audience. Also pictured is Neil Schneider, Executive Director of the Alliance, and Alan Price, President of The ITA. The Virtuix Omni is a VR treadmill that lets users physically walk, run, and jump in their favorite video games, and is best combined with VR devices like head mounted displays. It was first revealed and launched on Meant to be Seen’s discussion forums – the consumer arm of The ITA. This led to a very successful Kickstarter, and has pre-sold over three thousand units so far. Their most recent success is having raised $3 million in private funding. Making things even more interesting is one of their investors, Mark Cuban’s Radical Investments, had originally denied backing Virtuix on Shark Tank. That opinion has obviously changed. Congratulations to Jan Goetgeluk and the Virtuix team! Jespionage Entertainment Launches SnowDrift in VR! “It’s my pleasure to join an alliance with such distinguished members all focused on making Immersive Technology part of all our lives.” – Jesse Joudrey, CEO of Jespionage Entertainment. Jespionage Entertainment develops SnowDrift, the thrilling VR skiing game for devices like The Oculus Rift. 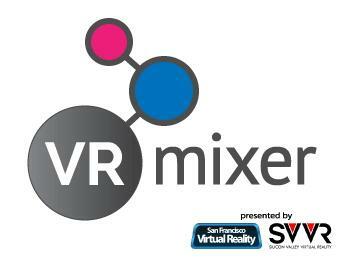 They are also a partner developer for VR Chat, one of the most popular VR social experiences available today! SnowDrift in VR is available for download! Most ITA meetings will be privately accessible by registered Immersive Technology Alliance members. However, as this meeting was inaugural and was accessible by press, we have made the contents readily available below. Neil Schneider, Executive Director of The Immersive Technology Alliance, shares opening remarks and highlights the purpose of The ITA. He also sends special thanks to many of the individuals, companies, and organizations responsible for making this meeting possible.